I most certainly think it is fair to say that by the start of the new year everyone knew that this was going to be the last football season until the war was over. Of course with very limited coverage of the conflict in the press because of wholesale censorship there was no telling what was happening, but the fact that by the start of the year several Arsenal players had resigned from the club with the owner’s permission to join the new Footballers’ Battalion, could not have escaped anyone’s notice. Suddenly players were not on the team sheet, and the word went round – he’s volunteered. It was not something that happened everywhere, and there is no doubt that the northern clubs were far less active in encouraging either young men in general or indeed in terms of their own employees, to join the army, but in London this was the way of things. Whether one approves of Norris’ action in being the leader of the campaign for a Footballers’ Battalion or not, he saw it as his patriotic duty, and carried it through. Financially it was an utter disaster for him, because it meant that overall the club said goodbye to its chance of promotion at the end of the season (although events were to take a curious turn thereafter of course) but he saw it as the right thing to do, and as we have noted before, he himself volunteered to serve. He was, as we have also seen turned down. At the same time Norris and Allen were continuing their business partnership as property developers and indeed at the new year put in an application for a development off the Fulham Palace Road. Unfortunately it seemed that staff shortages (caused because so men had volunteered for the armed forces or were being conscripted into government work) all the necessary infrastructure such as the setting down and tarmacking of roads, and the provision of electricity to the houses, was simply not happening. As for the war itself, on New Years Day the battleship Formidable was sunk off Lyme Regis by the German U-boat. 512 men out of a complement of 780 were lost. Also on this day The Arsenal were away to Barnsley and lost 0-1 in front of 5,000. Barnsley were only just behind The Arsenal at the start of the match in the table, and so the result was not much of a surprise. Indeed from here on the southern clubs were starting to be at something of a disadvantage for, as noted, they were more and more likely to be losing players to the army. But before too much doom and gloom could settle in, the following day 2 January 1915 Harry King scored four as Arsenal beat Wolverhampton 5-1, just one week after beating Leicester 6-0. It was the start of a run of four successive victories that made promotion once more look a real possibility despite all the odds. And to add to the fun on 6 January Birmingham beat Glossop North End 11-1, the highest score of the season. No wonder the Hill-Woods wanted to get out of the club. Next up on 9 January 1915 Harry King scored his third hat trick in his record breaking run as Arsenal beat Merthyr in the FA Cup. Merthyr at the time were in the second division of the Southern League, although they had recently spent one season in the top division. The game was drawn as a home match for Merthyr but was switched in the hope of gaining a bigger crowd. They may have been hoping for more than 9,000 but it still gave them a decent payday. The Arsenal progressed to the second round (all first and second division clubs entering in the first round proper at this time, non-league clubs playing a series of preliminary rounds as now). On the following Monday, 11 January, it seems more than likely that Henry Norris was in Shepherd’s Bush when the new Footballers’ Battalion (which as we have seen, he was very instrumental in setting up and to which he applied to join) marched through the streets to White City where it was barracked. However recruitment for the Battalion was by no means over as the following Thursday there was a major recruiting event held at the Royal Albert Hall. It is not clear if any Arsenal players or Henry Norris were there but it seems more than likely, as a way of gaining more recruits. And the recruiting went on and on, not least because by now Norris was recognised as one of the leading forces in the recruitment of volunteers. 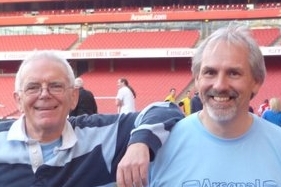 On 16 January the two football teams of which he was a director played each other, with the result Fulham 0 Arsenal 1. Only 10,000 turned up, but The Arsenal must have been pleased with the result – and indeed it turned out not just to be the fourth win in five league games, but also part of a winning sequence of six games in seven. But of course the reality of the war was still present, and on 19 January German zeppelins bombed Great Yarmouth and King’s Lynn, killing more than twenty people. On 23 January Arsenal were at home to Stockport and dispatched them 3-1 in front of just 6,000, showing just how far the war was disrupting the pleasure activity of the working men – even though there was still no conscription at this time. The following day saw the Battle of Dogger Bank in which the British Grand Fleet defeated the German High Seas Fleet. It was a major victory for the British forces. And still the fundraising continued. The notion of a whistdrive may seem rather twee to us today, but it was very much part of the fund raising efforts of the day and on Wednesday 27 January Henry and Edith Norris, the Mayor and Lady Mayoress of Fulham went to just such an event to raise funds for the local National Relief Fund. The event had been organised by William Allen, William Middleton and George Peachey, who’d been one of the organisers, also attended. The National Relief Fund was one of many charities set up at the time, in this case with Edward, Prince of Wales, as treasurer. The aim was to help the families of serving men and those suffering from “industrial distress”. In a message in national newspapers, the Prince said: “At such a moment we all stand by one another, and it is to the heart of the British people that I confidently make this earnest appeal.” Within a week, donations to the fund had reached £1m, although there was subsequently much frustration at the slowness with which the Fund distributed the money. On Saturday 30 January Henry Norris was in the crowd of 38,000 at Chelsea to see the FA Cup 2nd round match which ended Chelsea 1 Arsenal 0. At the same time Fulham were losing 2-3 to Southampton (of the Southern League) also in the Cup, so both Norris’ teams exited together. Arsenal were still seen as being in with a fighting chance of promotion, but Fulham were thought to be on the slide. And the league table at the end of the month. Arsenal had played more games than the clubs around them but there were still three months to go. Do you know which players left to join the army half way through the season? It would be good to know who these brave men were so that we can commemorate them. What an interesting write up about the historic facts of my favorite team! Thank you very much for sharing it. I am working on finding the names; the research for this series is being done as I write each article so I can’t tell you if I will have the list or not, at this stage. If I do I will certainly publish it.